Last week, a Banksy mural in London vanished without a trace. Slave Labor (Bunting Boy) was painted on the side of a Poundland store, but during renovations last week it suddenly disappeared. Poundland claimed to have no knowledge of the disappearance, and no one seemed to have any knowledge of where it had gone until it was listed at a Miami auction house. Fine Art Auctions claims that the mural came from a “well-known collector” and that “everything was above board,” but would reveal no more than that. 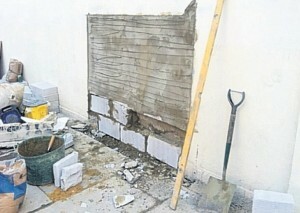 But the sudden reappearance and listing of the Banksy mural has many Londoners upset. Poundland, the company responsible for the renovations, has claimed ignorance and shrugged off any responsibility for the removal or sale of the mural since they do not own the building. The mural appeared in May last year, just before the Diamond Jubilee. 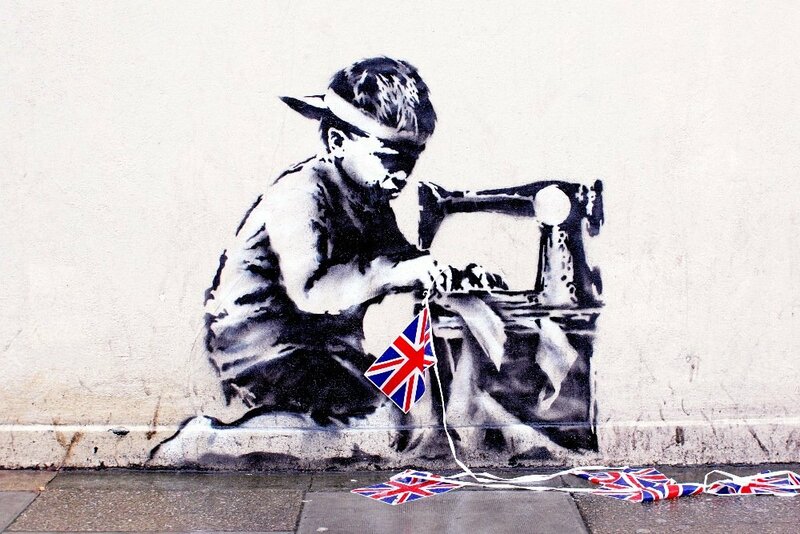 It depicts a young boy working at a sewing machine to make Union Jack bunting, and many believe that it is intended to be a commentary on sweatshop labor. Currently, an investigation is underway. The owners of the building have been determined and officials are attempting to contact them to see if the work was taken with permission. Meanwhile, residents of the community are working on a petition urging Fine Art Auctions to cancel the sale.